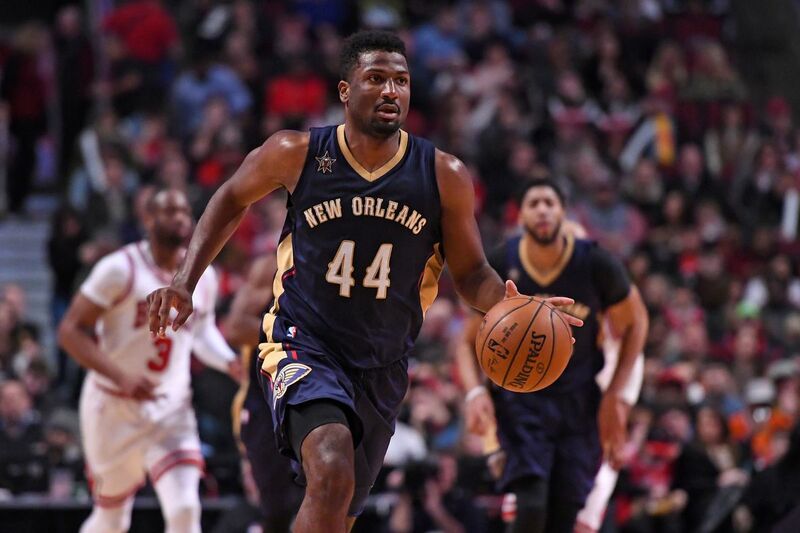 Solomon Hill is a two-time winner of the NABC All-District 20 first team and a recipient of several other awards and honors during his college career at the University of Arizona. These other awards include the Sapphire Award, (annually given to the state’s (Arizona) male athlete of the year), USBWA all-District IX first team, All-Pac-12 first team, among others. The small forward who currently plays for NBA’s New Orleans Pelicans began his professional career with the Indiana Pacers which selected him as the 23rd overall pick in the 2013 NBA Draft. Here is every other thing you need to know about him. Hill was born to Solomon Crawford and LaVerne Hill on the 18th day of March 1991 in Harvey, Illinois, with the birth name Solomon Jamar Hill. He attended high school in Los Angeles, California at Fairfax High School, where he fell in love with the game of basketball and decided to take it beyond just a recreation to making a career out from it. During his junior season, he recorded an average of 8.7 rebounds and 10.7 points per game and as a senior, he averaged 11.7 rebounds, 5.1 assists and 16.2 points per game. At the end of his high school career, Solomon earned the Los Angeles All-City selection twice and was a 3rd team all-state pick in 2009. Rivals.com considered him a 4-star recruit and was equally ranked No. 3 small forward as well as the No. 27 player in the nation. After high school, he attended the University of Arizona, where he played college basketball for the Wildcats. As a freshman, he played a total of thirty-one games, starting twenty-one and averaging 4.4 rebounds, 1.7 assists and 6.7 points per game. As a sophomore, he was privileged to be one of the three players that started every game. Solomon Hill was named to iBN Sports Las Vegas Invitational all-tournament team. He played 4 games at the tournament and made an average of 4.8 rebounds, 2.8 assists, and 11.0 points. After playing a total of thirty-eight games, which he started all and making an average of 4.7 rebounds, 1.7 assists and 8.0 points, Sean Miller (head coach) named him Arizona’s most improved player of the 2010/11 season. As a junior, Hill played thirty-five games (started all) and made an average of 7.7 rebounds, 1.0 steals, 2.6 assists, and 12.9 points, per game. He won the Sapphire Award,(annually given to the state’s (Arizona) male athlete of the year), earned USBWA all-District IX first team and All-Pac-12 first team. He earned a couple of other awards and honors as a senior like the MVP of the 2012 Diamond Head Classic. Indiana Pacers selected Solomon Hill as the 23rd overall pick at the 2013 NBA Draft, he signed his rookie scale contract with the team and immediately joined them for the Summer League. In December, he was sent off to Fort Wayne Mad Ants of the NBA G League and recalled the next month. At the end of his rookie season, Solomon had played in twenty-eight games and averaged 1.5 rebounds and 1.7 points per game. He missed the Summer League of the following year (2014) due to an ankle injury he sustained during the offseason. In October of the same year, the Pacers used the third year team option on Solomon Hill’s scale contract to extend his stay till the end of the next season (2015–16). Hill began serving as Pacers’ assisting small forward after Paul George sustained an injury that saw him off the court most of the season, by the end of the season, Hill had started seventy-eight games and averaged 2.2 assists, 3.8 rebounds and 8.9 points per game. Solomon would remain with the Pacers until July 2016, when he signed a new deal with the New Orleans Pelicans, where he currently plays. In August 2017, he went for a surgery to repair a torn hamstring. His first game after the surgery was in March 2018, against Boston Celtics, where he played for only 8 minutes and finished with just one assist. The New Orleans Pelicans’ small forward who sometimes doubles as a shooting guard stands at a height of 2.01 m (6’6″) and weighs 225 pounds (102 kg). Hill is not married but has a girlfriend named Ashli. He also has a daughter, it is not certain if he had the baby with his girlfriend Ashli or with another woman. The NBA player majored in basketball in college and he recently enrolled in a special Harvard Business School program that connects MBA candidates with a group of NBA players.